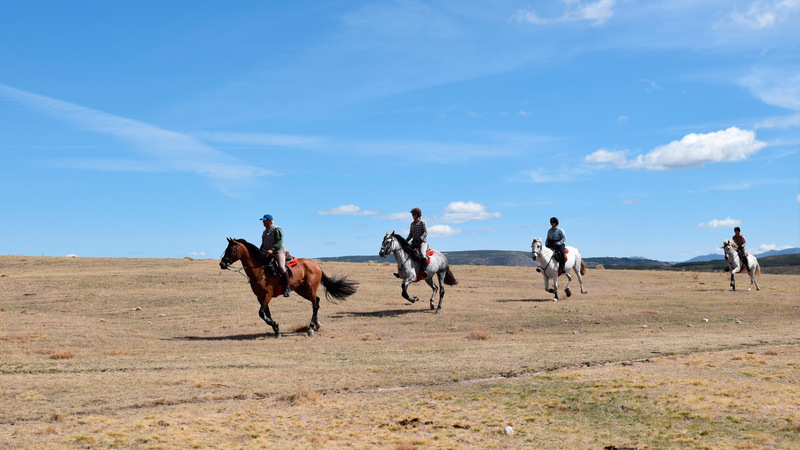 Thank you for stopping by our website, we hope you like our rides and horses and if you decide to ride with us we are sure that you will love it! 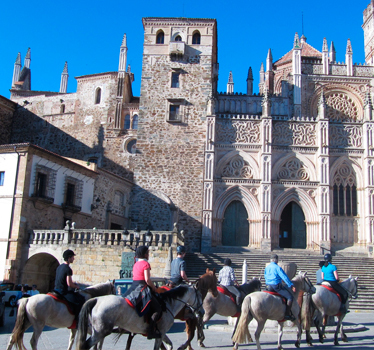 We offer you unique rides with excellent quality all around and we invite you to discover the most authentic riding holidays in Spain. 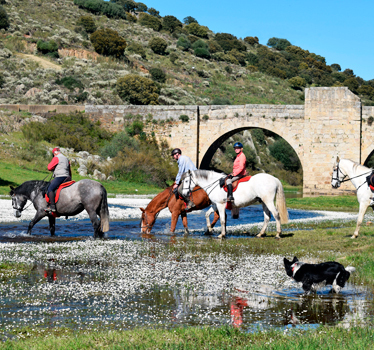 If you are thinking of amazing riding holiday; relaxing break with great riding through gorgeous scenery on very well-schooled PRE horses bred by us, very much loved and the best cared in Spain; terrific hosts with wonderful hospitality and long-standing experience… definitely this is your site! 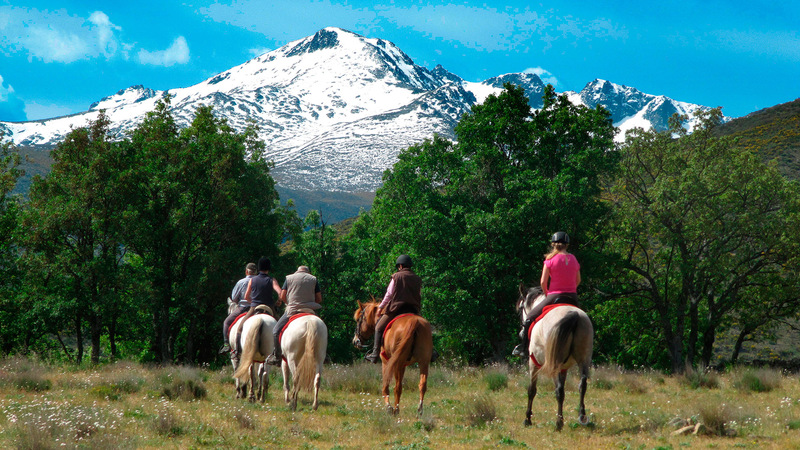 There are still places in Spain off the beaten path: SIERRA DE GREDOS and EXTREMADURA. 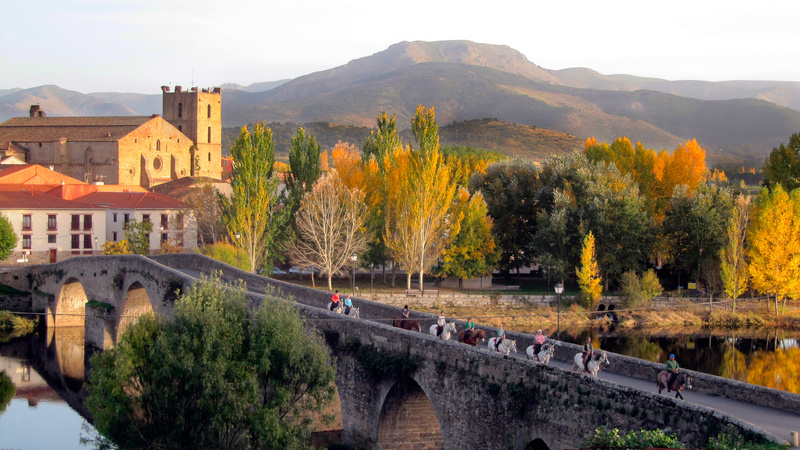 We offer a wide variety of week-long rides in these two regions of Spain, beautifully conserved, unknown and remote places in a forgotten corner in the center of Spain. 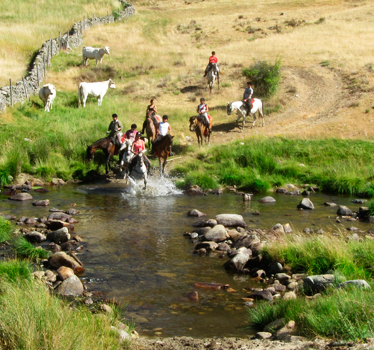 We put all our effort and passion to offer you an unforgettable riding holidays through the Natural Park of GREDOS MOUNTAINS, where we were born, with us you will have the opportunity to become the guardians of the ancestral tradition of our culture: The TRANSHUMANCE, a time travel on horseback from Sierra de Gredos to EXTREMADURA, the paradise of the holm oaks woods with rich pastures (Dehesa), land of conquerors, paradigm of the Mediterranean forest in its Monfragüe National Park, idyllic place for cantering with our beautiful PRE horses. 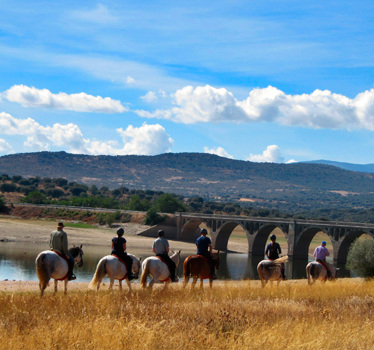 "Delightful trail ride in rural Spain with excellent hosts"
"Amazing riding. Highly recommended. 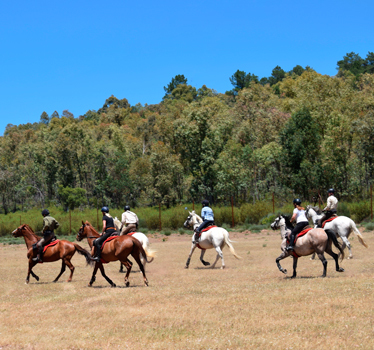 Horses, hosts are top quality. 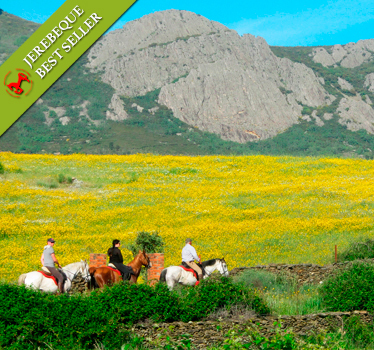 If you want breathtaking scenery, fantastic horses and 5 star quality. 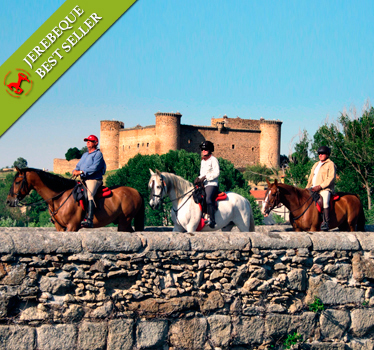 Book this ride!" 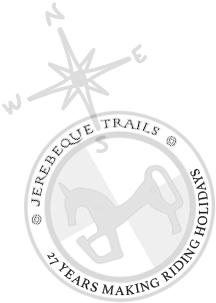 "....En Mayo del 2014 he realizado con mi hija una ruta ecuestre por Extremadura con la empresa Jerebeque-trails. 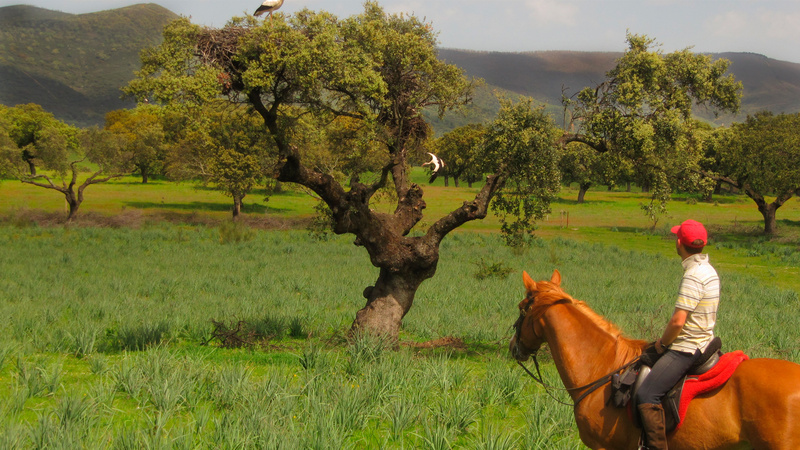 Me ha sorprendido la immensa naturaleza de esta región, los animales y aves que hemos visto y la diversidad histórica de sus pueblos. 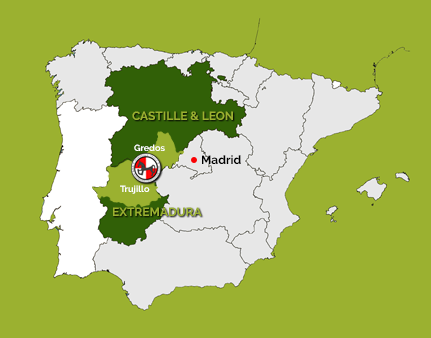 Pero sin lugar a dudas lo mejor ha sido el contacto humano con el guía Emilio y su compañera Mamen. Ambos, cada uno a su especial manera, han conseguido el éxito de este viaje. 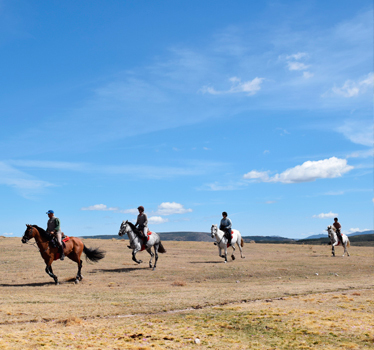 Tanto la ruta en sí, como el cariño con que estaban preparados los pic-nics en el campo por Mamen, la calidad y carácter de los caballos y de los lugares donde nos hemos alojado han dejado un gratísimo recuerdo, que se resume en una sola palabra: ! 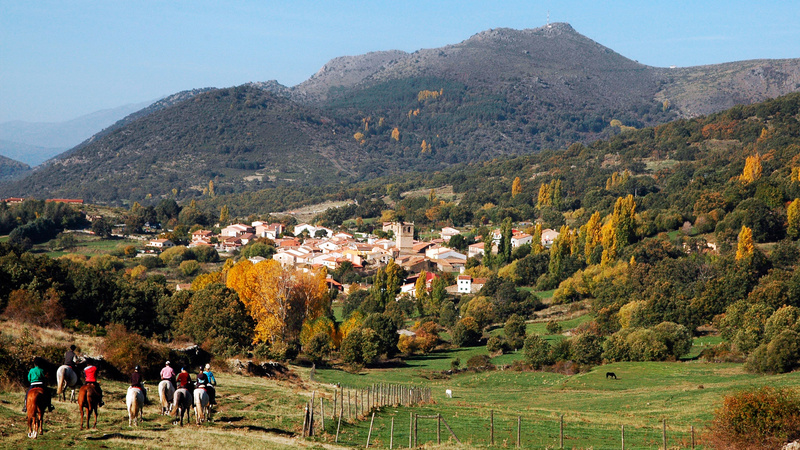 volveremos ! 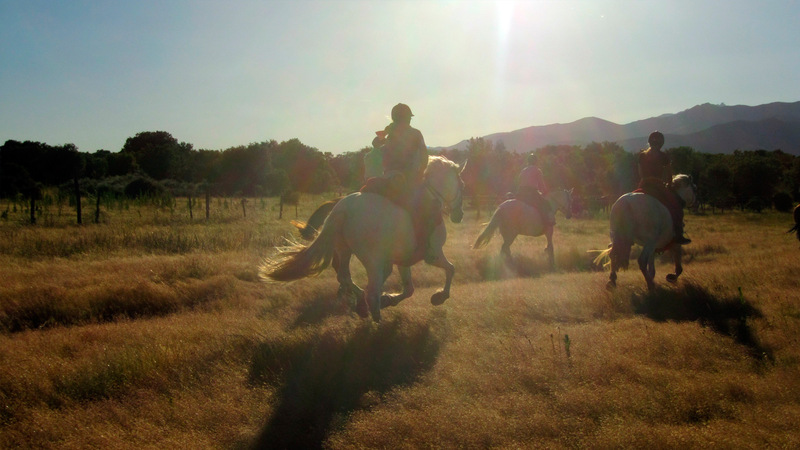 Victoria y su hija Julia...."
"The best holiday I have had"
"A real chance to chill out and spend time in nature"
"A wonderful holiday in beautiful nature with nice horses and people"